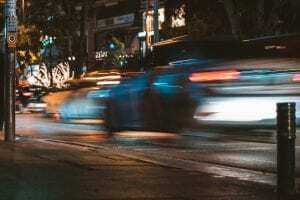 Hempstead, NY (March 21, 2019) – On Monday night, March 18th, police responded to an incident involving two young men who were involved in a car chase that led to a fatal collision. Police have now released the identities of those involved, as well as the details surrounding the tragic incident. According to authorities, 23-year-old Dana King Jr., a star basketball player for Nassau Community College, had waited outside of his ex-girlfriend’s house and observed her enter 22-year-old Jimmy Hayes’ BMW. King, operating an Audi, then proceeded to chase Hayes and his passenger for a distance of around six miles before crashing into the rear-end of Hayes’ car on Baldwin Road. The impact of the collision caused the BMW to crash into a tree, subsequently killing Hayes and leaving his passenger in critical condition. King Jr.’s ex-girlfriend has been listed in stable condition at this time. King Jr. is facing charges for second-degree manslaughter and has been issued a stay-away order of protection from his ex-girlfriend. Before anything else, we would first like to extend our deepest condolences to the loved ones of Jimmy Hayes, as we also maintain hope for the injured passenger’s full recovery. Following a New York car accident, it is important to understand that, as either a victim or the bereaved family, you may likely have substantial rights moving forward. At Hach & Rose, our New York accident attorneys have devoted their lives to helping victims and their families as we hold negligent and criminal drivers liable for the pain and devastation they cause. We recognize the immense physical, emotional, and financial hindrances that often arise in the aftermath of a sudden accident, and we are here for you 24/7. If you have lost a loved one or suffered an injury in a motor vehicle crash due to the reckless or criminal actions of another party, please don’t hesitate to call 212-779-0057 today.